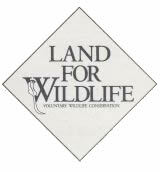 Land for Wildlife is a Queensland-wide organisation that encourages landowners to make voluntary conservation agreements covering part or all of their property. These non-binding agreements are simple to enter into and require a property inspection by a Land for Wildlife officer who will assess the suitability of the property for listing. The property owner will need to demonstrate that the property is providing habitat for native wildlife or is actively being regenerated to provide such habitat in the future. Once approved, the owner is provided with a green sign displaying the new status of their land. They then become part of the Land for Wildlife network in Queensland and receive the quarterly newsletters. While Land for Wildlife inspections are normally carried out by Shire Council officers, in Kuranda, these have been the responsibility of Kuranda Envirocare for several years. For more information or to register your property for Land for Wildlife listing, contact Kuranda Envirocare. Land for Wildlife membership is a great way to show your interest in conservation to the community and thereby encourage others to join you in preserving biodiversity in your part of Queensland. The organisation runs occasional workshops and seminars around the state, including Kuranda. Kuranda Envirocare will assist you, as a Land for Wildlife member, to choose appropriate species for planting on your block and will give advice on other wildlife issues.